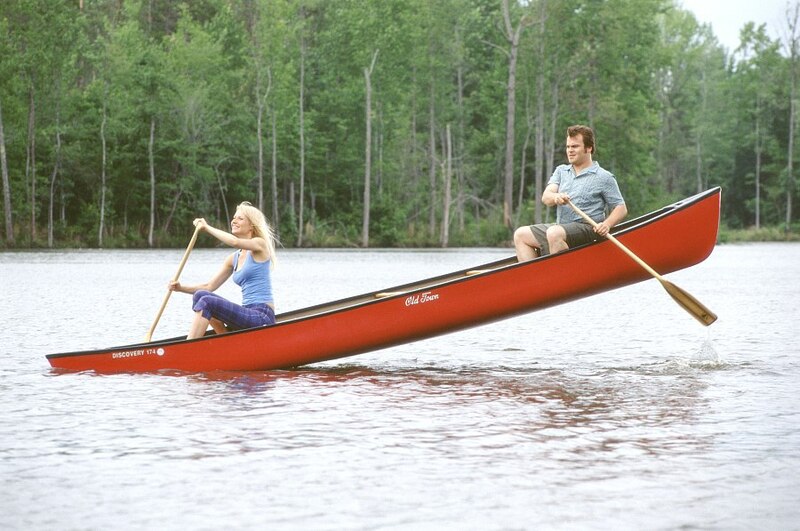 There’s an incredibly tender scene near the end of Shallow Hal, a moment of honest-to-goodness poignancy guaranteed to conjure a sizable lump in your throat. That it comes completely unexpected only increases its impact, ensuring a glistening in the eyes of even the most jaded viewers. This being a Farrelly Brothers movie, it is naturally followed by a gross-out scene so repulsive the only appropriate response is shocked laughter. Still, despite knee-jerk reactions from advocates of the overweight, Shallow Hal is actually a sympathetic testament to the importance of recognizing inner beauty. (Wrapped, of course, in the Farrelly’s unmistakable brand of outrageous and offensive comedy). Jack Black plays Hal, an endearing loser so unaware of his own obvious limitations he accepts nothing less than perfection in the women he relentlessly pursues. A lifetime of constant rejections hasn’t fazed Hal; he is, as he puts it, “kinda picky.” A chance meeting with motivational guru Tony Robbins leaves Hal with the ability to see only the inner beauty in women. Newly enlightened, Hal begins chasing after a string of homely gals, oblivious to their external appearance. While the filmmakers get considerable mileage from this setup, it’s evident they’re after more than cheap laughs for a change. Instead, they invest great effort in developing Hal’s emotional maturity. The fat jokes – and there are plenty – are, for the most part, left to Hal’s best friend Mauricio (Jason Alexander), an obnoxious miscreant even more superficial than Hal. When Hal strikes up a relationship with Rosemary (Gwyneth Paltrow), his boss’s enormous daughter, friends and co-workers alike dismiss it as a transparent attempt by Hal to gain a promotion. While Hal sees in Rosemary a stick-thin, beautiful woman, those around him see a lonely, obese one. Gwyneth’s prosthetic fat suit renders her unrecognizable beneath layers of very realistic looking flesh, but for the most part, we see Rosemary from Hal’s perspective. Only occasional glimpses of an enormous arm or a massive leg offer not-so-subtle reminders of the true situation. This distortion of reality works both ways, as when Hal observes a young, beautiful gold-digger and a couple of Peace Corps volunteers. Incredibly, there’s even a nod to the inner beauty of trannies. Are audiences ready for a Farrelly brother flick that packs a real emotional wallop, or will they dismiss Shallow Hal as just more juvenile shenanigans? That’ll definitely depend on whether moviegoers, like Hal, are willing to look beyond first appearances. Tags: Criticism, Film Reviews, HX Magazine. Bookmark the permalink.